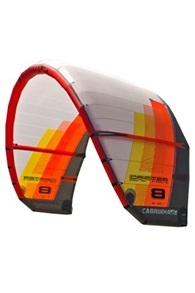 Buy Cabrinha Kites and Kiteboards Online - Kitemana! Cabrinha's success over the past seventeen years can be dedicated to a team of passionate people who are inspired by a huge watersport heritage. As a pioneer of the sport, Pete has the status of a master in surfing, windsurfing and kite surfing. After joining forces with Neil Pryde in 2000, Cabrinha benefited much from Pryde Group's rich history of producing sailing yachts and windsurfing sails in their state-of-the-art factory. This in combination with the research and development facility in Maui, which is also made to test all wind and water conditions, ensures consistency and accuracy from design to production and guarantees an end product which Cabrinha can be proud of. 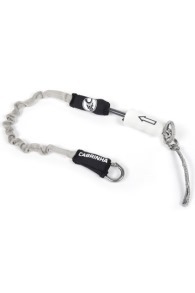 Over the years, Cabrinha has grown to be the market leader in the industry and the brand is progressive in terms of safety, comfort, and performance with a global distribution network which is focused on customer service and satisfaction. Kitemana has a very close relationship with the brand and is always the first webshop to sell the entire latest collection. Besides that, we always try to have ad good deal for customers who don't necessarily want to have the latest of the latest but still would like to experience the quality of Cabrinha equipment while kitesurfing. Cabrinha is one of the most progressive and influential brands on the market. 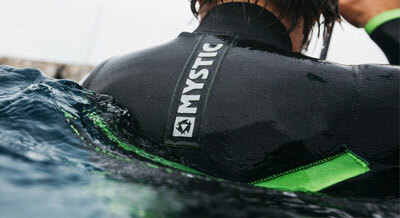 The brand does everything to make the sport safer and more accessible to a wide audience. Through new developments, the sport has become a lot safer and because of those innovations, everyone can learn how to kitesurf. You no longer have to be a natural born talent to get good at it! 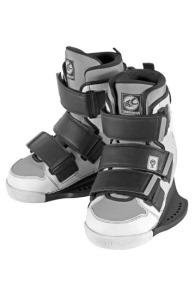 Below you can read some developments in the field of material and technology which gave the brand a lot of recognition. 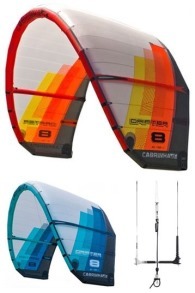 In 2005 Cabrinha was the very first brand with the bow-kite on the market, the Crossbow. This was the first kite to get fully depowered by simply pushing the bar away from you. This was a really big step forward in the industry because the safety of the kite sport became a lot better because of this. The Crossbow was also the first kite with a bow shape. This means the tips of the wings are further bent backward and the kite has a flatter arc. By using Bridles the angle of the kite can be changed in relation to the wind. This happens when you push or pull the bar. 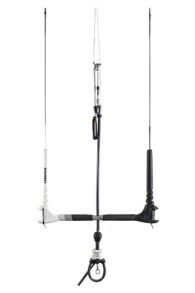 When you pull the bar towards you, the kite gets more power and reacts immediately. If you push the bar further away from you or you completely let it go, all the power will go out of the kite. Cabrinha certainly pioneered in the development of this new shape of kites. 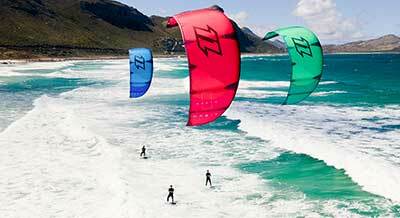 Today the bow / SLE kites are one of the most sold kite shapes around the world. After the success of the Cabrinha Crossbow, the brand immediately launched a second model, the Cabrinha Switchblade. 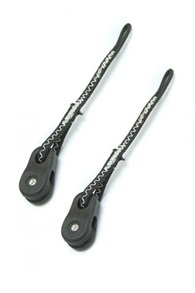 The Switchblade had a considerable rounder arch and therefore easy to control and a better relaunch. The kite also has a bit more lift and an increased stability, so that the kite suffers less from gusty, unpredictable wind. 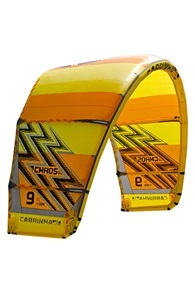 Over the years, the Cabrinha Switchblade has become one of the most popular kite in the world. The kite fits everybody's needs and is excellent in all circumstances. The perfect kite for beginners to advanced freeriders. Nick Jacobsen even won the King Of The Air 2017 with a Cabrinha Switchblade. 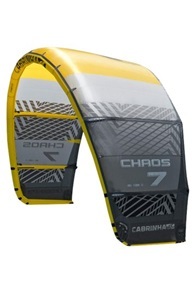 Cabrinha has again shown us that they belong to the world top when it comes to producing awesome kites. 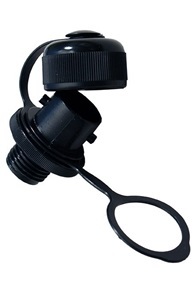 In 2016 Cabrinha introduces the innovative and award-winning Fireball Control system. With this system, Cabrinha changed the entire look of the original Chickenloop design. 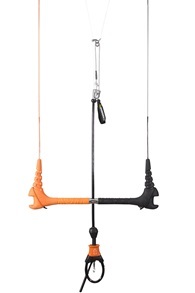 The new Fireball replaces the chickenloop and the standard hook of a harness. 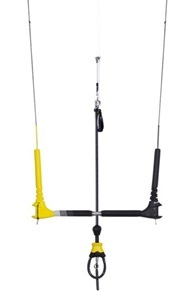 Thanks to this new connection, the kite can move a lot easier over a ball and your harness stays well in place. 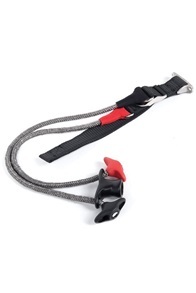 A very cool invention for the freeride kitesurfers or kiters who want to rip some waves. If you want to ride unhooked, we recommend riding with a standard chickenloop. 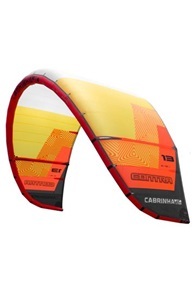 We are a big fan of Cabrinha and to share this with you we have a test model of every Cabrinha kite type. 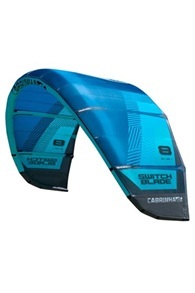 The Cabrinha Switchblade is the most famous kite in the range and is also the best-selling kite worldwide. 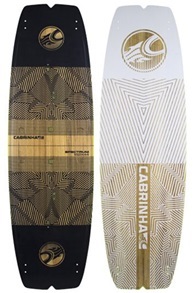 All kites and boards from Cabrinha are on stocked, so we can ship them the same day! If you happen to be near our headquarters and want to see or feel them, feel free to drop by! 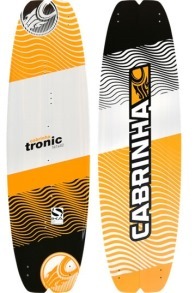 We also have kite test days several times a year where all the newest kites and kiteboards from Cabrinha can be tested.